A long translation that gets cut off is a “text overrun” because the text has overrun the space needed to display it. German translations tend to be 150% the length of English. First thing you can do is build your app so that all your text fields are at least 150% the width of the existing English words. With that one step, odds are most translations will have ample room. Secondly, if you and your translators are using the El Loco* web interface, text overruns are highlighted to translators as they enter translations. They can immediately shorten their translations to fit the display space. The developer gets a list of phrases that are close enough to the length limit and is alerted to view them in the actual app. Being alerted to text overruns, instead of hunting for them, saves a ton of time. He probably meant to say “Right to Left”. Displaying Right to Left languages is typically handled by the operating system, so that’s easier than easy. Yes, there are languages that display vertically, but a Left to Right display of them is just as readable as English written vertically. And a vertical language displayed horizontally is much easier to comprehend than a language you cannot read at all. Translators normally just get a list of strings to translate, and yes, without context, doing a correct translation is difficult. Determining context from an El Loco editable web browser version of the app screens is amazingly easy. Viewing the strings in context is a solved problem. Almost anyone who knows a language well enough to do translations is also going to be aware of anything offensive to the culture using that language. That is what testers are for. They should view the translations in the app, point out potential issues, and suggest alternatives. You’re never going to figure this out all by yourself; you have to have others look at your app. Just make sure you have someone from each language to test your app. OK, I agree with Oliver on this. Localization of native iOS and Mac apps is well known and works great. Android has it figured out too. Apps built with Unity 3D or PhoneGap, not so easy. Some programming software just doesn’t have a standard way to support localization. Unicode is pretty much everywhere now. UTF8 is the standard web format for Unicode and it just works. Most development environments support Unicode, because all major OSes support it. Dealing with Unicode is easy if you avoid systems that have not moved into the 21st century. Certainly, machines are not good translators (yet). Humans are poor translators if they don’t have visual context. With visual context and instant feedback on text overruns, almost anyone who is a native speaker can provide a quality translation for an app. This is especially true when the translator can quickly ask the developer to clarify something that even the context doesn’t answer. For example, “Is ‘Display’ a noun or a verb?” When the question concerns the string on the screen in the language, which both the developer and the translator can see together quickly, accurate translation is much easier. It’s way easier to get an app translated when all the non-programming stuff that programmers used to have to do is automated. Automation eliminates entire classes of work and potential sources for error. 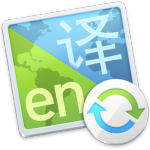 Makes app localization easy. I’m the CEO of El Loco. Our goal is to automate iOS app localization to eliminate or drastically minimize the possibility for errors. We work with all translators, including PhraseApp. Without El Loco, all the “dang hard” stuff is true. With El Loco, localization is insanely easy. It doesn’t have to be “dang hard” any more.